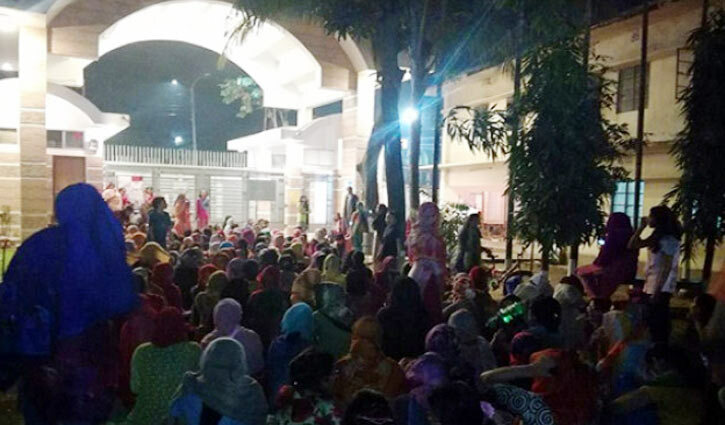 Staff Correspondent: Female students of Rokeya Hall of Dhaka University (DU) have demonstrated demanding re-election at the hall and resignation of hall provost Prof Zinat Huda, alleging irregularities in the Dhaka University Central Students Union (Ducsu) polls. They waged demonstration on Tuesday night. During the protest, the students chanted various slogans against vote rigging and demanding resignation of the provost. Mentionable, blank ballot papers were found in a room of the hall centre during the polls on March 11. As a sequel to that, voting delayed an hour to begin. The voting was suspended after an hour of the beginning. Students alleged that six ballot boxes were showed out of nine.